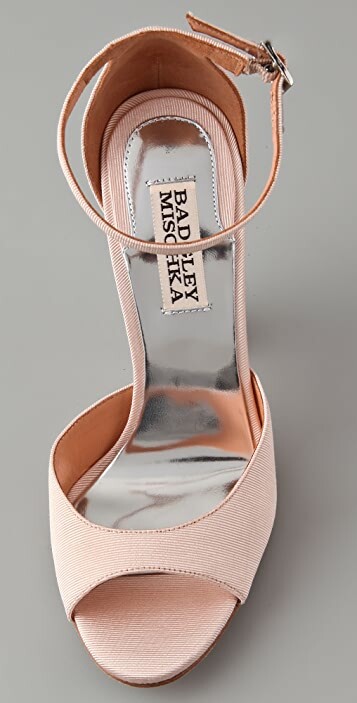 These open-toe grosgrain sandals feature a buckled ankle strap. 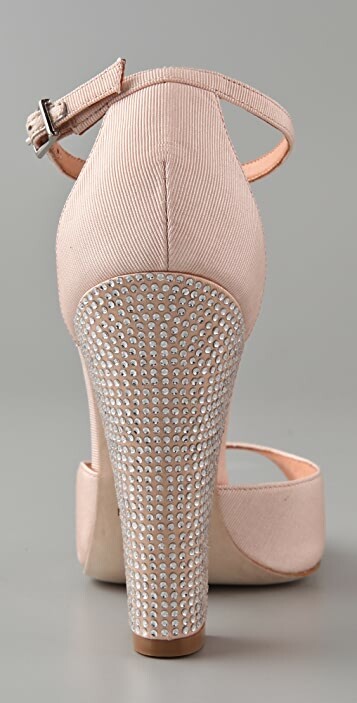 Rhinestone-covered chunky heel. Leather lining and sole. They fit true to size and have great rhinestone detail. Love how they look on and are comfortable to walk on. Fit true to size. 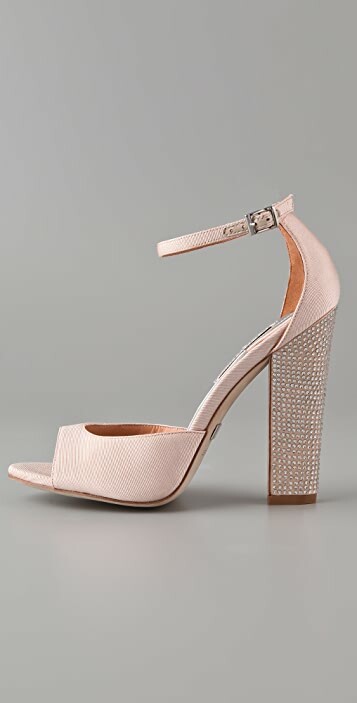 I found those shoes unique and very trendy both by it's colour and design! It fits true to size and looks perfectly with skinny jeans!